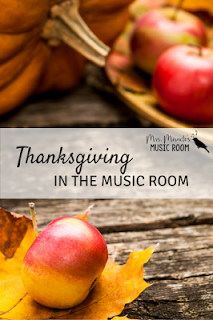 Since it is Thanksgiving week, I thought I'd write a quick blog post today with a round up of some fun ideas for your music room this week! 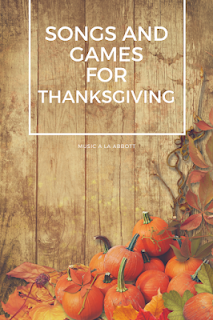 Amy Abbott just wrote this post with lots of great ideas for Thanksgiving, including a stick game, turkey beach balls, and more! 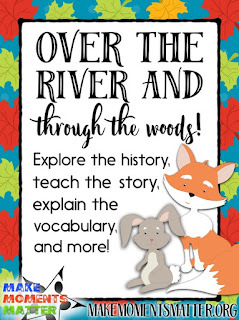 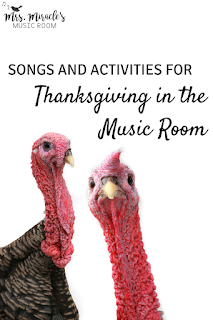 Here is a post by David Row, from Make Moments Matter, about the Thanksgiving song, "Over the River and Through the Woods." 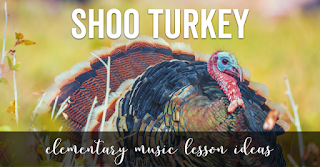 Jennifer at the Yellow Brick Road wrote this blog post about one of my favorite call/response songs, "Shoo Turkey." 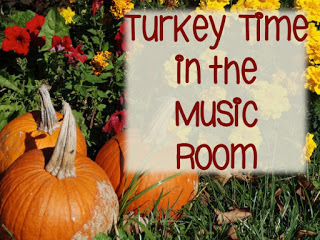 Last but not least, Tracy King (the Bulletin Board Lady) wrote this blog post with lots of great ideas for Thanksgiving in the music room! 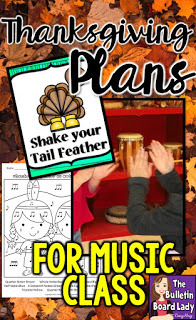 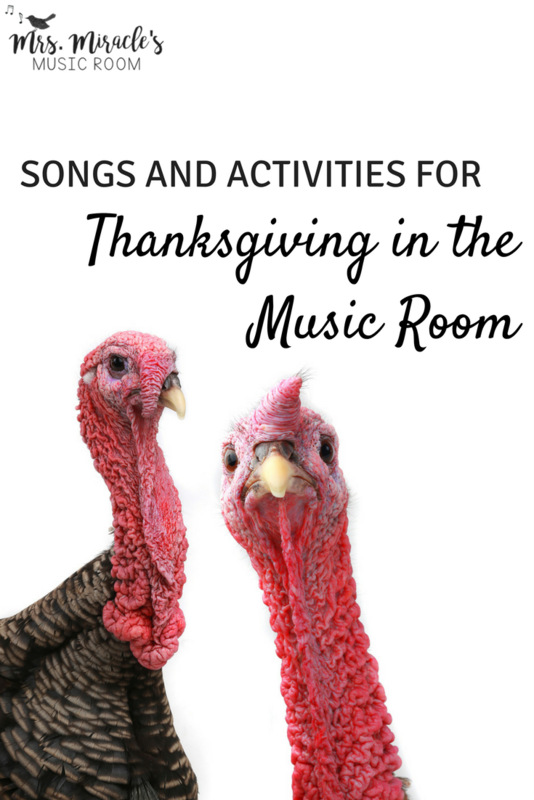 What are your favorite songs and activities for Thanksgiving in the music room? 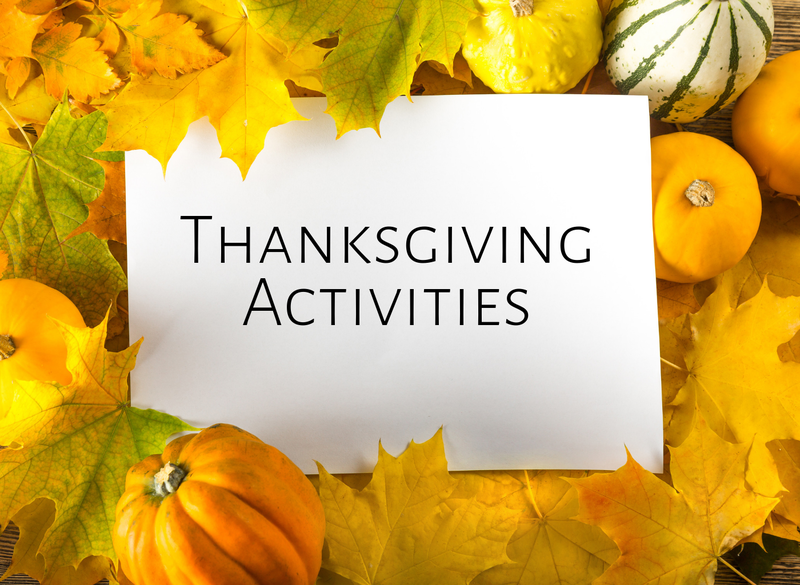 Feel free to comment below, and I hope you have a wonderful and relaxing Thanksgiving! 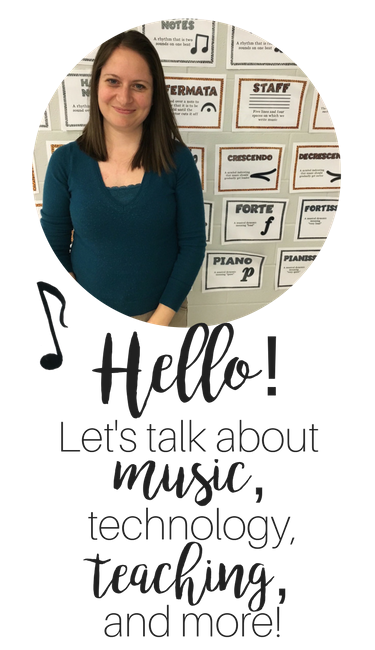 Your blog is put together really well!